Despite being somewhat overlooked, floors are a very important part of any interior. They are the first thing people will see when they enter a room and therefore, need to give a strong first impression. Flooring is one of the elements that give every room a unique look and style. The best wood flooring should liven up the room, and that is one area where the Elegance Plyquet Acacia Natural hardwood flooring truly excels. It combines a natural look of wood flooring with a touch of more exotic designs. This is possible thanks to its unique blend of a light basic color and just a tad darker swirly grain pattern. comes in two basic textures: hard scraped and smooth. As its name suggests, the hard scraped variation has a bit more grain, which creates a beautiful contrast and is sure to make the flooring stand out in any room one decides to put it in. The flooring also comes prefinished, which means that there’s no need to apply another coat of finish by hand before it’s ready for use. A single packaging contains two 8-inch-long panels that are about 3/4 inches thick. They can be installed either by gluing the panels together or by using nails and a hammer. As with all best wood flooring options, the Acacia Natural is available in bulk that will fit the exact square footage the buyer needs. The Kingsport Brazilian Cherry Red is one of the most popular and best wood flooring options out there. Another prefinished flooring solution, it is known for its unsurpassed hardness and extreme durability. This makes it a smart choice not just for homes, but also for commercial use. Another reason why Brazilian cherry is such a popular choice is its unique reddish color. It shows a variety of shades in different lighting's—from a gold-like brown to maroon. What’s more, as the material ages, the color will become much deeper without losing any of its original shine. The sample panel is only about six inches long, which some buyers may find insufficient. Each panel is 3/4 inches deep and about 4 inches wide. The tongue-and-groove ends allow for easier installation, which is then reinforced by nailing the panels together. No list of the best wood flooring options would be complete without the Hurst Hardwood Brazilian Walnut flooring. This exotic wood is known for its high durability. In fact, Brazilian Walnut is among the hardest woods currently available on the market. All individual panels are 9 inches long and 3/4 inches thick. 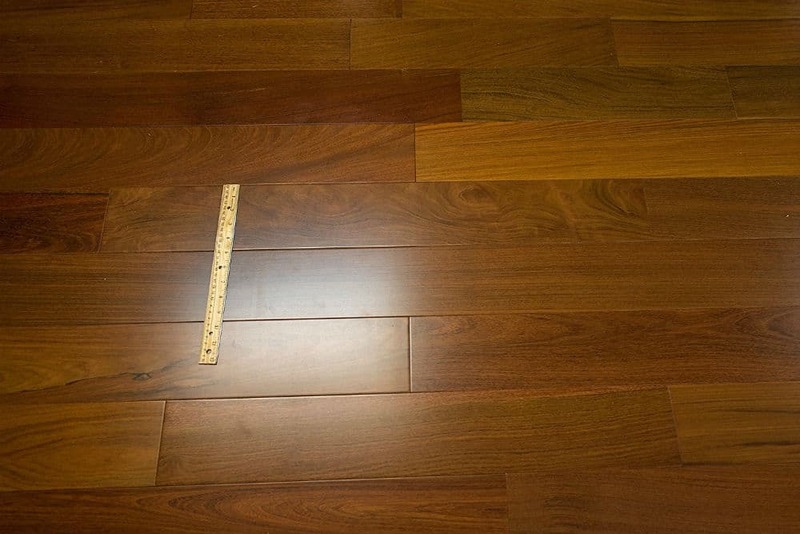 At 5 inches, they are also wider than some of the best wood flooring solutions out there. What’s more, each panel is prefinished with a whopping 11 coats of aluminum oxide finish. The Hurst Brazilian Walnut hardwood flooring is clear-graded, which means that individual panels are hand-sorted to ensure that their color is a perfect match. When ordering, panels range from 1 to 7 inches long, which allows them to fit any room without the need to cut them into smaller panels. On top of that, the product arrives with a 30-year warranty. When searching for something to add a bit of warmth and polish to their residential or office spaces, one should always look for the best wood flooring available. It beats other types of flooring in terms of design, overall quality, and most importantly—durability. There are many benefits to using hardwood flooring. First and foremost, they are built to provide the exact fit to all floors and are therefore easy to install. Because they don’t gather too much dust and dirt, they don’t require too much cleaning; vacuuming and moping once a week is more than enough. The best wood flooring also ensures that the room is free of any allergens that could cause some health issues to people who spend a lot of time in it. They come in plenty of different colors and shades, allowing people to choose the style that best fits that of the other interior elements. Finally, the best wood flooring can also sustain a lot of traffic, which makes it great for office buildings and public spaces. Here is a short overview of the three best wood flooring options available right now. Each provides the best in terms of quality and design, and is thus a good choice for all types of rooms and halls. Wood is divided into two categories softwood and hardwood. Hardwood is better suited to flooring, but softwood such as pine, can be used satisfactorily. Hardwood tends to come from deciduous tress such as oak, maple, cherry, and mahogany, while softwood comes from evergreens, such as pines and spruces, and fast growing trees, like poplar. Wood floors can be solid, laminated, or engineered wood and can be purchased in both unfinished and pre-finished states. There are also different installation methods that can are used. Nailing or stapling is commonly used for installing solid wood and engineered flooring. Gluing is used for both engineered and laminated flooring, gluing the edges so the planks effectively form one large surface. Another installation option is known as floating, where the flooring in installed so that it moves independently above the sub-floor; floating floors can be glued or clicked together, and sometimes float over a pad placed on the sub-floor. Floating floors can be installed over sub-floors made of concrete, plywood or OSB (oriented strand board), vinyl, linoleum or tiles. When choosing your wood floor, you can choose from prefinished or unfinished flooring. Prefinished wood floors have been finished using a water- or oil-based finish and are fully functioning once installed. Unfinished floors not only take longer to install, because they have to be sanded and coated after being laid, but also is messier because of dust and odors when being sanded and finished. The hardness of wood is determined using the Janka hardness test. Brazilian fir wood (0060) is the softest wood and Brazilian Ebony (3692) is one of the hardest. In flooring, hardwood is better than softwood since it can so easily be damaged. Wood flooring has been used throughout history and continues to be the case today. But the early 1970s did see a decline in the use of wood floors, with carpet becoming very popular. Since the 1980s, wood floors have made a steady come back and today are among the most popular choices in flooring. Wood floors can be expensive and without the correct care and maintenance can become dull and unattractive. Solid wood flooring that is mistreated may need frequent refinishing. Spills and standing water can warp and crack the wood and its finishes. Choosing your wood flooring is the first step. Grain, texture, and color should be considered as part of making your choice. Another important decision that you will have to make is on the finish, choosing a pre-finished floor will save time and a lot of cleaning. Unfinished floors however, have the advantage of being getting a smooth surface during the sanding phase of the finish. Wood floors can be installed in any room, but extra care must be taken in wet rooms, such as bathrooms and laundries. Dust and allergens sink into carpet, but with wood floors they remain on the surface so can easily be removed helping to promote a healtyh home. In order to get the best value from your wooden floors proper care, installation and maintenance are required. A dry or damp mop, rather than a wet mop, can be used to clean wood floors. Vacuuming should be a regular occurrence to get the grit that scratches the surface. Using furniture glides will help prevent scratches, as will the strategic placement of rugs around the house. And if your wood floor does get scratched there tips abound on hiding scratches and scrapes. Wood floors can get stained too. Bleach and other harsh detergents should be avoided because they damage the finish and the wood itself. Consult your manufacturer’s guidelines for the best care. If your wood floors are properly cared for and maintained they will last a lifetime. And also check out these tips for removing stains from wood floors. Another bonus is that wood floors are versatile and can add warmth to any room. Solid flooring can be refinished and changed more readily than tile or carpet, which often have to be removed in order to change the appearance of a room. Once sanded, solid wood floors can be resealed or stained and sealed. Wood floors can also be painted with patterns, like rugs or game boards, to add a fresh look to a tired-looking floor. Prior to painting wood floors, the old finish needs to be removed. And be sure to “varnish” the paint with several coats so that it wears well. So you see, a wood floor really is an investment in your home. When you tire of the look, you don’t need to rip it up, all you have to do is refinish your it, And don’t forget, wood floors also your home’s value. Don’t you think its time you started look at wood as more than just fuel for your stove? 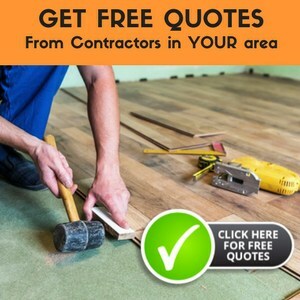 While each of these options has all the makings of good flooring solution, only one of them is truly the best option currently available. The Acacia Natural is considerably lighter than the other two, but its swirly pattern might prove too much to some buyers. Similarly, the Brazilian Cherry Red is very durable, but the dark color can make well-lit rooms appear much darker than they are. With that in mind, the Hurst Hardwood Brazilian Walnut is the obvious choice for the best wood flooring. It is the hardest wood flooring solution out there, which ensures its extreme durability. What’s more, 11 coats of finish have been applied to make it resistant to scratches, knocks, and dents. The sample panels are 9 inches long, which is more than the other two options highlighted here. If that isn’t enough, the fact that it comes with a 30-year warranty will surely seal the deal. When looking for the best wood flooring available, one should look no further than the Hurst Brazilian Walnut.